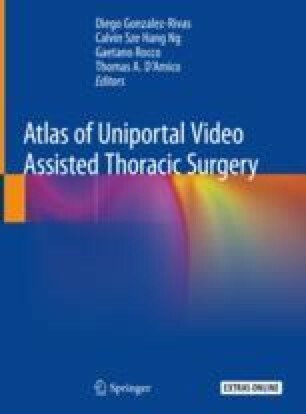 The uniportal approach, as the three or two-port thoracoscopic procedures, must follow the oncological principles for any major pulmonary resection. The dissection of the hilar structures must be carried out individually, and mediastinal lymphadenectomy must be performed, all through video-visualization with no rib spreading. The online version of this chapter ( https://doi.org/10.1007/978-981-13-2604-2_17) contains supplementary material, which is available to authorized users.